(Kelley Performance) - Born and raised on the Eastern shore of Maryland, I found a desire for cars and racing at an early age. My father was interested in drag racing and street racing as well (sorry dad...lol) and he taught me a lot as a young boy. It wasn't long before I was side by side , modding cars with him. My first car was a 1972 Chevy Monte Carlo. I owned several classic Chevrolet's early on and then made my way into the Mustang scene. Moved to Virginia in 1991 and made a home here with my wife Angela, who has been a big supporter of my racing endeavours. 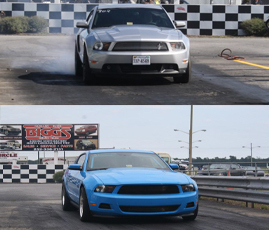 Kelley Performance was opened in January 2008, after years of working at MAS Racing in Va. Beach, which was one of the areas premier Mustang and performance shops until closing in 2007. Several cars that I have built and/or owned have been in major publications such as Muscle Mustangs and Fast Fords and some have even sold at the famous Barrett Jackson auto auctions. I take great pride in the work that I do and look forward to serving this area for many years to come. Nobody else could get 480RWHP out of my V6 Challenger! I come all the way from Richmond, Va. to get it done right the first time! One stop Shop, Their workmanship coupled with excellent customer service makes this the best performance shop I've had the pleasure of dealing with. 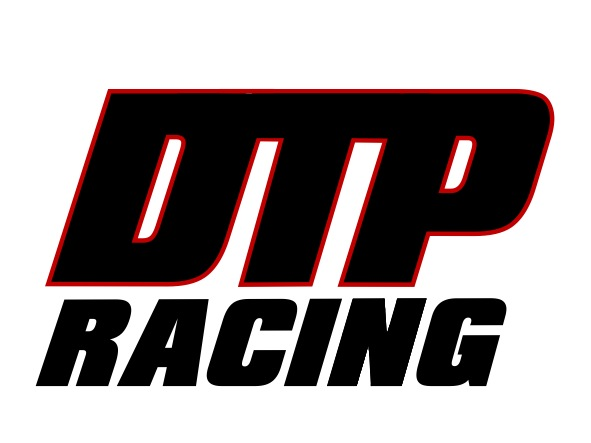 Thanks for everything Brent and DTP. I'm excited to get behind the wheel of the Cobra now with all the extra goodies you added. Just wanted to thank yall again for the tune today, car drives great! With just a few bolt ons he got me about 30-40hp at the wheels over stock on my 2.2 Ecotec. Can't wait to build my head up and come on back, have a good one guys. Dyno Tuning is a scientific process designed to fine tune engine power output. Dyno tuning allows us to perform the proper adjustments to your vehicle without guessing. The outcome is a precisely calculated power and torque curve providing increased horsepower, gas mileage,engine response, and overall performance. If you have a hand-held tuner, SCT X Calibrator or Diablosport Predator, bring it with you! We utilize a Dyno Dynamics - 2WD 450DS Dynamometer capable of graphing up to 1200 HP. We don't guess, WE KNOW! So you aren't paying someone by the hour for "Guessing". Nothing is worse than paying someone who doesnt know what they are doing. We get it done without guessing, and done right the first time. We have the most performance experience in the area! Look at our reviews! We have over 50 years of performance knowledge. We give you Maximum Horsepower! We Increase Horsepower and Torque. Smooth out your shift points. Optimize Air to Fuel ratios. Modify Rev Limiters. Toggle Traction Control Systems. You can switch back to stock tune at any time! We Tune some of The World's Fastest 1/4 mile cars! Joe Bowman's 2010 3.5 V6 Dodge Challenger puts out 480RWHP and is the World's Fastest V6 Challenger. New track record coming soon!